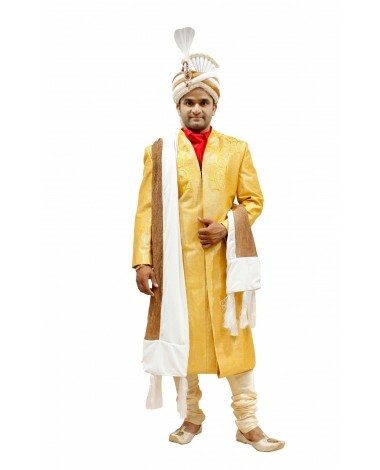 his is a yellow and maroon sherwani set. 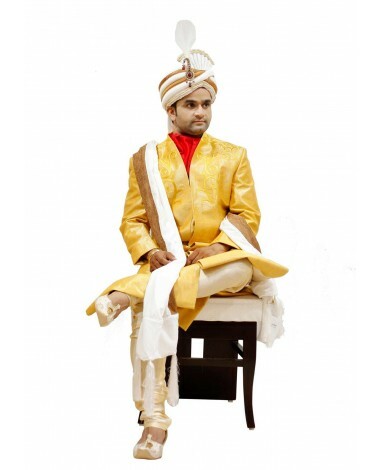 The set features a yellow hand embroidered on the front neck part sherwani and a silk churidar. 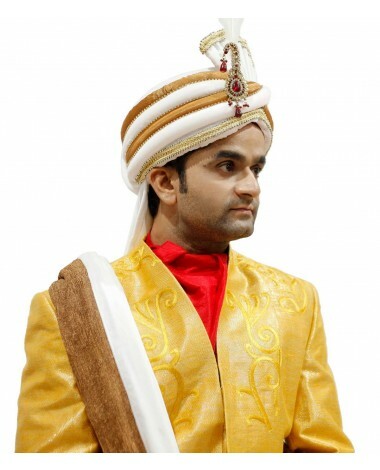 The menswear festive collection of Nisu J, Showcase ethnicity with this light yellow art brocade silk sherwani. 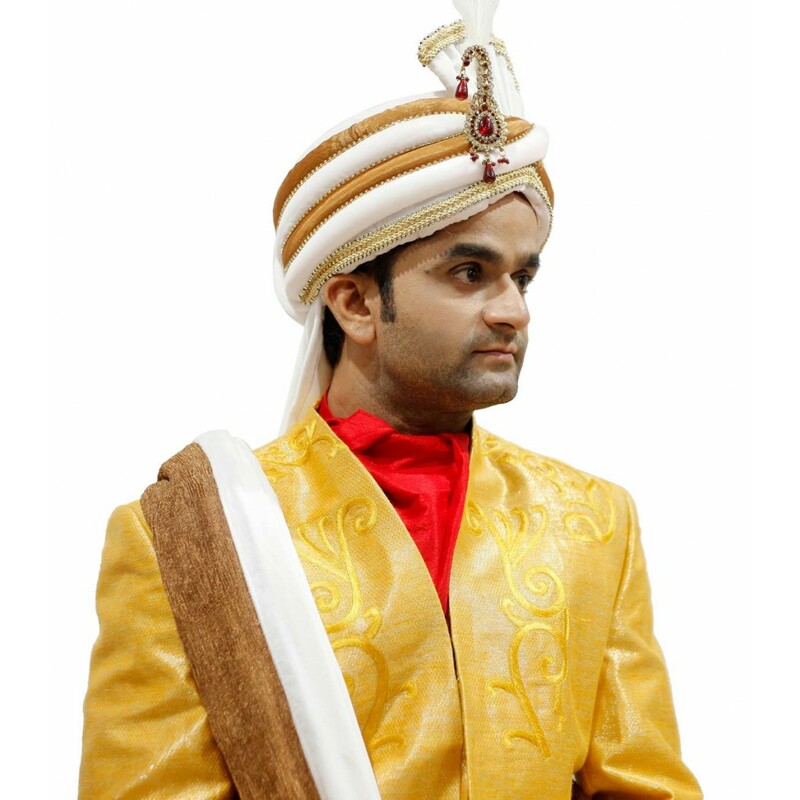 This is a yellow and maroon sherwani set. 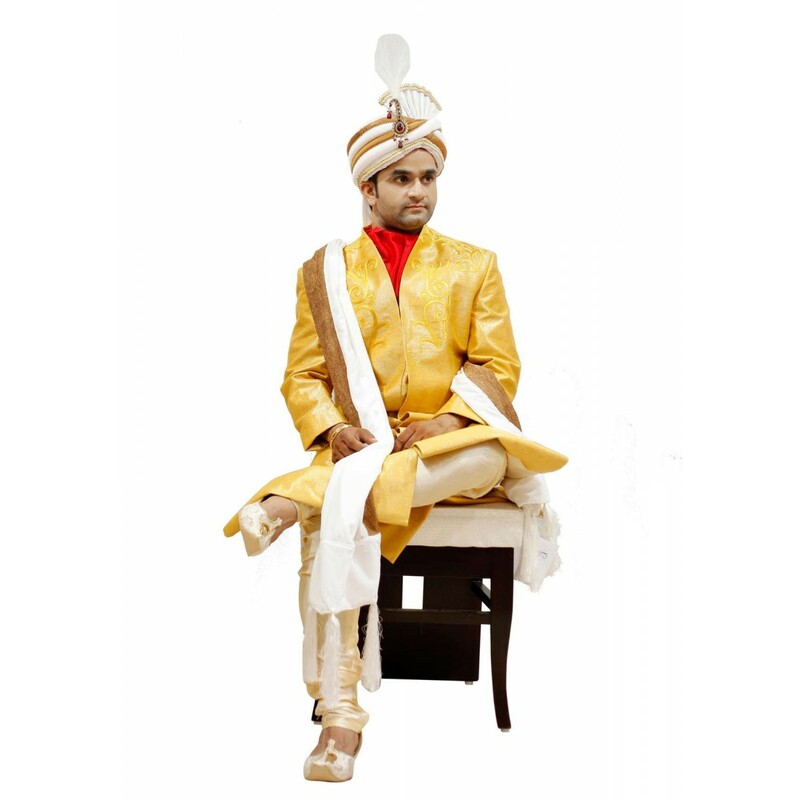 The set features a yellow hand embroidered on the front neck part sherwani and a silk churidar. The menswear festive collection of Nisu J, Showcase ethnicity with this light yellow art brocade silk ready-made sherwani. It is designed with zardozi, sequins and stonework.